There have always been two great modelling toys as far as I’m concerned. There’s Play Dough (or Play-Doh to give it its Homer Simpon-esque commercial name) and Plasticene. Both came in a range of colours, had a unique smell, kind of like marzipan though not quite, and could be twisted, rolled and generally formed into whatever shape you wanted. Whilst Plasticene tended to allow more intricate modelling, it also had to be rolled around a bit to soften it up before you could do much with it. Play Dough however was malleable from the word go, and so was a much better choice for younger hands to get to grips with. It was also possible to make your own Play Dough, so following a quick call to my Mum here is the recipe she used to make Play Dough for me when I was little. Firstly though, like the warning about getting a grown up to help you with scissors, there’s a warning attached to this recipe which is, fairly obviously I would have thought – DO NOT EAT! First, mix a few drops of food colouring into the water. Add all the ingredients into a saucepan and stir over a medium heat until mixture stiffens and can be rolled into a ball. Cool before use, and store in an airtight container between uses. As you can see it’s pretty simple to make and provides hours of fun, but if your too lazy or find the idea of cooking anything scary then you can always pick up a pack of four colours of the ready made stuffÂ from Seven Again. 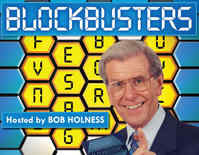 If you come from the UK then you’ll instantly associate the quiz show Blockbusters with Bob Holness and a bunch of teenage contestants. If you come from the US however, then you might associated it with a more adult crowd of contestants and host Bill Cullen. The US version of the quiz show was shown in the early 1980’s and enjoyed moderate success, but the UK version managed to attract a huge following of young and old from 1983 for the rest of the decade. Question: What B is the sound commonly associated with bees? For those that don’t recognise the name, A Handful of Songs was one of ITV’s midday childrens shows that kept little ones enthralled for a full ten minutes as two friendly adults sat and sang songs whilst playing a guitar. Now they certainly don’t make TV shows like this any more, but one really has to wonder why? It can’t have been an expensive show to make, and singing songs is something that most pre-school children love to listen to and join in with. As mentioned the format consisted of a man playing the guitar and a woman singing songs, which had normally been requested by one of the viewers of the show. Requests were normally made by a child painting a picture representing the song they wanted to hear, which then got put up as a backdrop behind the two presenters. My memory isn’t good enough to recall the names of the presenters, but a trip to the wonderful Little Gems website provided both the names and the image accompanying this post. The show was first hosted by Kathy Jones and Alistair Johns but was only shown in the Granada ITV region. Eventually it made its way onto the full ITV network, where it was presented by Maria Morgan and Keith Field. Aaahh! Opal Fruits! Made to make your mouth water! I used to love Opal Fruits (and their minty cousins Pacers), those lovely little chewy fruity sweets were so tasty that a packet never used to last very long. OK, I know that technically they are still available today as Starburst, but somehow it just isn’t the same. With Opal Fruits you knew what you were getting – a gem of a fruity sweet! Starburst doesn’t really do it for me.Â It sounds more like it should be some kind of popping candy.Â Personally I still insist on calling them Opal Fruits, and apparently it seems somebody at Asda agrees with me, sinceÂ were supposedly selling them as Opal Fruits very recently.Â Unfortunately I don’t have an Asda nearby to confirm this, and I’ve only just found out about it so perhaps that promotion has finished already? Anyway, as mentionedÂ Opal FruitsÂ were deliciously chewy fruit sweets that came originally in four flavours, orange, strawberry, lemon and my personal favourite lime.Â As kids my sister and IÂ tended to call them orange, red, yellow and green ones though.Â I seem to recall blackcurrant (purple ones to us) being a flavour as well, but the YouTube clip of the advert I found below doesn’t confirm this. Hands up who still uses videotapes?Â I guess there are still a fair proportion of people who use them still for recording programmes off the telly, but with the advent of recordable DVD and Personal Video Recorder systems such as TiVo and Sky+ the humble videotape is gradually being squeezed out of the market.Â For pre-recorded films it’s now pretty much impossible to buy videos it would seem. Which videotape format did your family first have? There were some strange things available to play with when you were a kid, weren’t there? 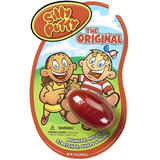 Who would have thought that a blob of brightly coloured red putty could keep kids both amused and baffled for hours? I have no idea what Silly Putty is actually made of, but it certainly had a wide range of characteristics depending on how you handled it. 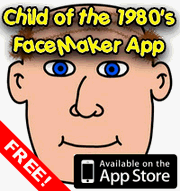 The first conundrum it presented was its malleability. It came in an egg shaped blob initially, but using fairly gentle pressure it was possible to shape it however you wished. Try to mould it with too much pressure (for example, by hitting it with a hammer) and it retained its shape completely. It was also a great toy for teaching scientific principles. Pop it in a bowl of water whilst in a ball and it would sink to the bottom, but flatten it out and it would float. Its shape also determined its elasticity, and when rolled into a ball it would bounce higher than your average dense rubber ball. Mention the words Police Academy and most people will generally flinch, remembering just how awful the films were. True, the franchise was done to death, with each successive film shedding long term cast members whilst basically retelling the same story and using the same jokes time after time. The first of the movies was released in 1984, and it went on to spawn no less than six sequels, one a year until 1989, and a further one in 1994. The first Police Academy film wasn’t all that bad to be honest. 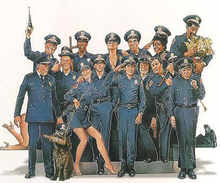 It took the box office by storm, which is probably why it led to so many sequels, and whilst it could never be called a masterful piece of cinematography, it had enough funny moments to keep you chuckling through to the end at the antics of these so-called police cadets. Why were the cadets so awful? Well, the reason was that the Mayor of the city had decided to relax the entrance requirements for police training college to allow more ordinary people in. Turns out these rules were there for a reason, as the motley crew of new cadets that join up are anything but ordinary people. With the release of The Warlock of Firetop Mountain in 1982 a new type of book captured the imagination of children across the UK. This book was the first in a series known as the Fighting Fantasy game books, which differed from normal books in that they weren’t intended to be read from start to finish. Instead the book allowed the reader to become the player, making choices which affected the overall direction of the story. In order to “play” a Fighting Fantasy game book you needed some paper and a pencil to keep track of your character statistics and possessions, and for drawing a map, and two six sided dice. Before you began your adventure you had to roll the dice to create your character, which in most of the books meant determining values for skill, stamina and luck attributes, in much the same way as a true role playing game such as Dungeons and Dragons required. These values determined how good your character would be at fighting monsters or getting out of scrapes unharmed. Of course it was possible to cheat and award yourself maximum points, but where was the fun in that.